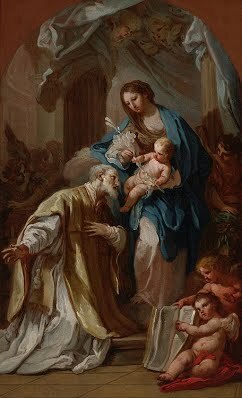 Saint Philip Neri, Priest - My Catholic Life! Saint Philip was born into a well-educated, Catholic, middle-class home. He carried himself all his life with the bearing of an amiable, well-read, finely dressed, shrewd individual who knew no enemies. After growing up in Florence, he moved to Rome and spent many years as a layman studying theology and helping the poor in practical ways. While still a layman, Philip founded a group to care for the many impoverished pilgrims who came to Rome. He befriended the great reformer Saint Ignatius of Loyola, who wanted Philip to become a Jesuit. But after encouragement from his confessor, Philip was ordained a secular priest in 1551. Soon afterward, he had to formalize the large following he generated that wanted to live more fully the life he preached and modeled. Saint Philip was so well loved and so well known in Rome that he is sometimes called its “Third Apostle” after Saint Peter and Saint Paul. His personality radiated a natural warmth, cordiality, and love of God. His priestly ministry could be fairly characterized as “evangelization by walking around.” He walked the streets of Rome from end to end continually throughout his long life. His life was a long conversation with a thousand characters on street corners, in shops, in factories, at church, in parks—wherever. He reached out to the destitute, prostitutes, poor children, and the uneducated. Saint Philip would often gather a group to visit seven churches in a row. As they went from one church to another, the group would picnic and listen to the musicians whom Saint Philip brought along for entertainment. These outings, understandably, became hugely popular. Leaders, intellectuals, musicians, and scholars were also drawn to him, in addition to common folk, and formed the impressive circle of committed Catholics who first joined his apostolic efforts. Saint Philip and his companions were given charge of a parish where they held evening sessions filled with song, readings from the lives of the martyrs, the praying of the psalms, and rich conversation. Saint Philip called these gatherings the “oratory,” in part because the participants also listened to musical pieces called “oratorios.” So when it came time to formalize his newly founded community in Church law, the name “Oratory” was chosen. The Congregation of the Oratory, which is still thriving today, was recognized by the Holy Father in 1575 and given the magnificent, new parish of Santa Maria in Varicella, known as Chiesa Nuova (The New Church), in the heart of Rome. Oratorians are mostly diocesan priests and some laymen who live together in a loose brotherhood, taking no vows, while pursuing various individual ministries. The many dozens of oratories around the world are joined in an informal confederation, whereas canonical bonds tie the many houses of a religious order together in a far tighter union. Saint Philip is one of the bright lights of the Counter-Reformation. He blazed a new path, like other reformers. But the new path he blazed was really just the old path, walked differently. Saint Philip was the silent observer, the cheerful listener, the priest always there, who spoke hard truths but always bent on the non-essentials. He mortified himself but never talked about it. He was poor but wore nice clothes. He looked like everyone else, yet…there was that intangible something: the sparkle in his eye, his polish, his lively concern, his clever wit, his courtesy, his wide education, his humor, and his constant turning of the conversation back to God. He was like everyone else, but he wasn’t, really. He radiated what twentieth-century psychologists would call the “halo effect.” Everyone saw the invisible halo casting a glow over Saint Philip, and people crowded around to stand in his mellow light. Saint Philip did not start a university, reform an institution, write a classic, or formulate a new rule. He changed the world the only way it can truly be changed—one soul at a time. This army of one was canonized in 1622. His body rests in a glass coffin in Chiesa Nuova, the sumptuous Mother Church of the Oratory, where pilgrims come in faith, kneel before him, and seek his powerful intercession. 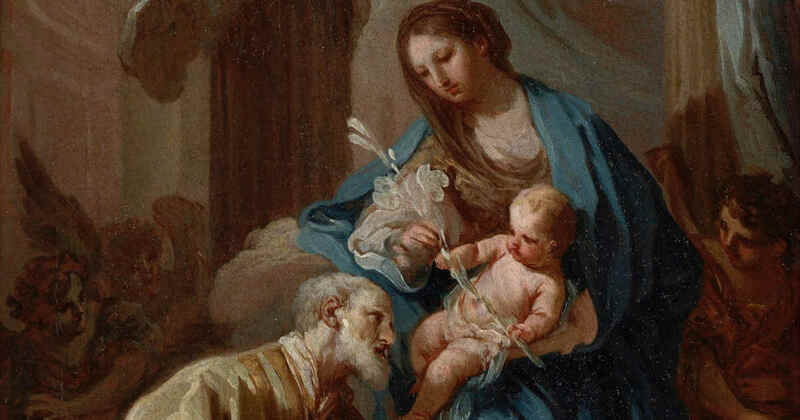 Saint Philip Neri, your good nature and charm, united with your theological orthodoxy and life of deep prayer, made you a powerful apostle for the people of Rome. May all evangelists, especially priests, see in your openness to others a pathway of changing the world.